Maumee, Ohio is our community of the month for April! We chose this community because of its thriving downtown area, well-kept streets and park areas, proximity to the Maumee River, and wonderful residential options. You might be lucky enough to call Maumee your home and you have a free Saturday to explore your hometown. Or maybe you’re simply stopping by for a day trip from your home in a nearby community. Either way, we wanted to give you a jampacked schedule of what you might do during the day to make the most out of your time in this charming community. So follow this schedule strictly or simply glean a few ideas you might not have thought of. Either way, we hope this guide to Maumee is helpful and informative! It’s only right that you start off your day right with a cup of coffee and a pastry from a local coffee shop. We recommend visiting Georgette’s Fair Trade Grounds & Gifts because the quality is superb and their business has an incredible mission. Georgette’s is owned and operated by Sunshine, a local nonprofit in Maumee that offers an array of services and programs for people with intellectual and developmental disabilities and their families. Not only does Georgette’s partner with Sunshine to provide opportunities and meaningful income for people with disabilities, they also sell products from local vendors and artisans from around the world in their gift shop. Their coffee shop attached to the gift shop serves fair trade coffees, teas, espresso drinks, smoothies, baked goods and light lunches. 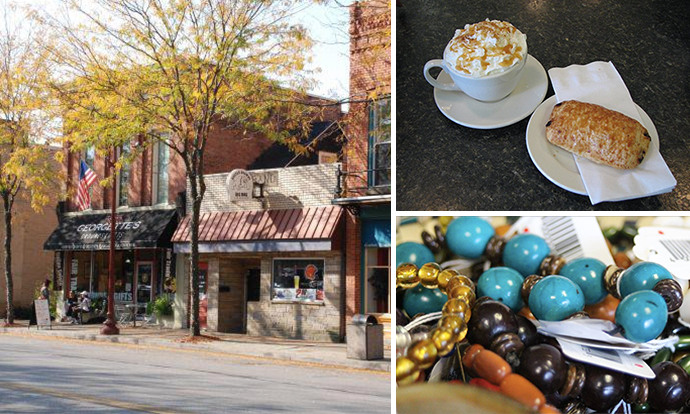 So grab a cup of coffee and a scone off their menu and peruse the gift shop to get a one-of-a-kind fair trade item to commemorate your Maumee visit! Before you set out on your fishing adventure, you might need to restock your supplies (bait, fishing line, hooks, etc.) at Maumee Tackle, a local fishing outfitters store packed with all the gear and information you will need while on the river. Once you get your gear, you’re ready to experience the wonderful fishing that Maumee River has in store! 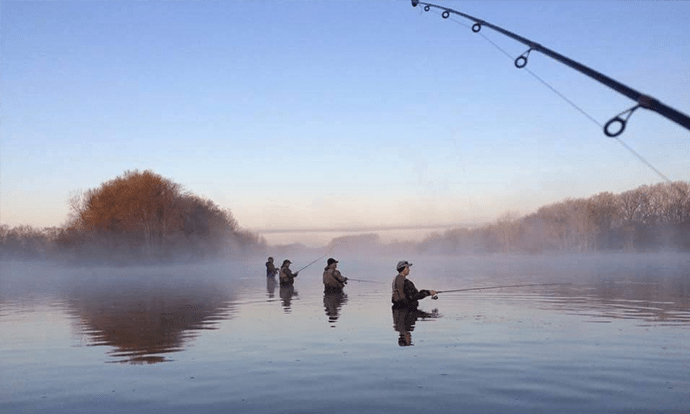 If your visit lands in April, be aware of the packed rivers due to the annual Maumee River Walleye Run, which is one of the largest migrations of riverbound walleyes east of the Mississippi. Walleye come from the western end of Lake Erie, the Detroit River and Lake St. Clair in Michigan, to spawn. And the result is pure excitement and camaraderie for the fishing world. If you don’t catch anything during your fishing experience, or simply do a catch-and-release trip — don’t worry. You can still get exceptional seafood for lunch, which you may be particularly thrilled about since you’ve worked up quite the appetite. 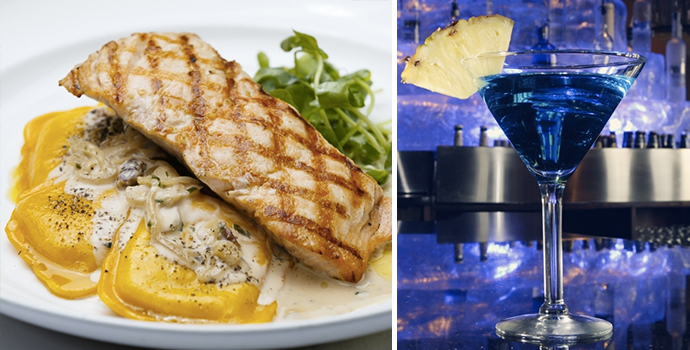 Stop by Mancy’s Bluewater Grille for a delectable and top-of-the-line dining experience. Check out their lunch menu in advance, keeping in mind that their seafood arrives daily from the best fisheries in Boston and Hawaii. Their dedication to quality carries over to their drink menu, as they offer several local craft beers and some of the best American and national wines they could find. One of the best ways to spend the afternoon is with a relaxing and informative trip to Wolcott House Museum Complex. We’re especially excited to include this on the itinerary because it has been closed for the season and just reopened on April 8! The complex hosts six buildings, including two houses, a train depot, a log cabin, a farmhouse and a church. Of those buildings, only the Wolcott House is original to the site, but the rest were transplanted from the region and have rich histories and unique pasts. A tour of the Wolcott House Museum Complex takes visitors back in time to see what pioneer life was like in Maumee. The Wolcott House was built by James Wolcott, a prosperous businessman in the 1820s and 1830s, and his wife, as a log house. It was later transformed into the two-story, 14-room, Federal-style mansion that you’ll see today. Adults can tour this historic site for just $5, seniors for $4, and children for $2.50. The complex is open from 12–4 p.m. Thursday through Sunday, and guided tours are available at 12:30 and 2:30 p.m.
Continue the pursuit of history while you dine at Dégagé Jazz Cafe in the heart of Maumee’s historic district. In fact, the jazz cafe is located on the first floor of one of Northwest Ohio’s oldest commercial establishments, The Commercial Building. The building has an exciting history dating back to the 1830s. This space was once a center of community activity — housing law offices, a post office, a public meeting room and several mercantile establishments. 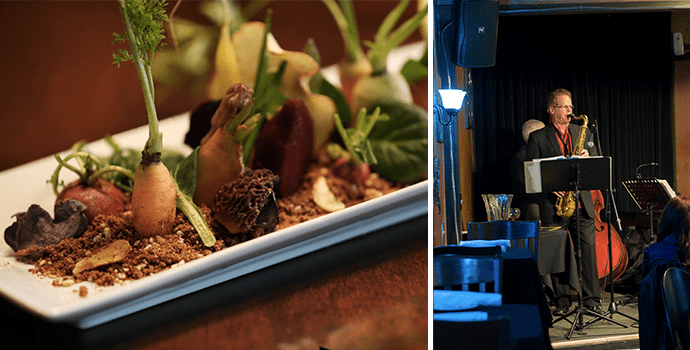 But the space has evolved and changed over the years, as it is now home to Dégagé Jazz Cafe, featuring live jazz, an outdoor patio, wonderful food and a great martini menu. 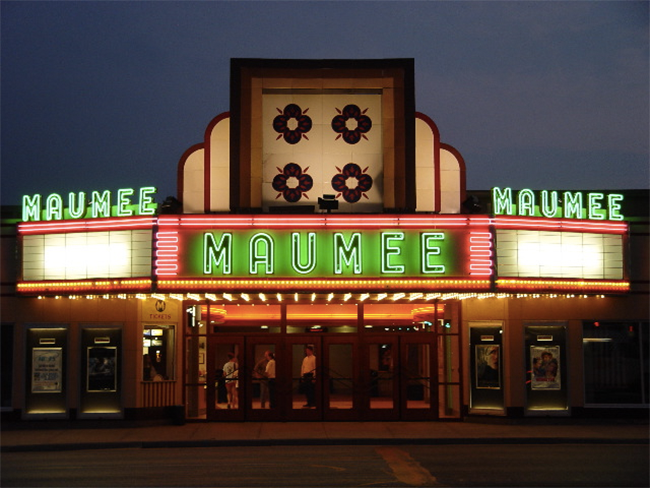 …And the historic tour continues with a movie at Maumee Indoor Theatre. This Art Deco building was a modern theater when it opened back in 1946, and his since been restored to its former glory and is now a center for visual and performing arts. You’ll feel like you’ve stepped back in time when you step inside this building — and when you see the ticket prices. All movies are just $3.75 and 3-D movies are $5.25! Plus, if you stop by on a Wednesday, you can get your movie ticket, a drink and popcorn for just $4.25 total. 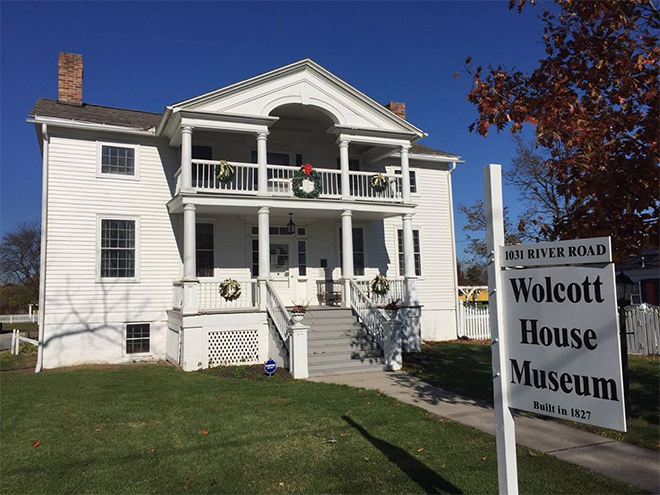 Head to this historic building in Uptown Maumee for a relaxing end to your action-packed day in Maumee. 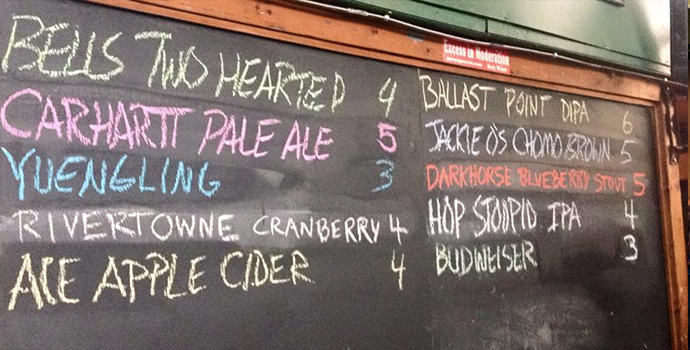 Top off the night with a drink or two at The Village Idiot. And thankfully, it’s only a stone’s throw away from the Maumee Indoor Theatre! This neighborhood bar features live music every single night of the week, as well as freshly made pizza and a wide selection of craft beers. Step inside this 1920s-era building in historic Uptown Maumee for a fun and exciting evening full of music and quality beer. Check out their live performance calendar to see what you’ll be listening to during your visit! Photo courtesy of The Village Idiot. What Maumee activities would you squeeze into this schedule? We’d love to know your favorite things to do or places to go in town.